Ervin Carlson was born on March 20, 1918, at Mackay, Idaho. He first began entering rodeos in the 1940’s, competing in the team roping and calf roping events. Calf roping remained his true love throughout his rodeo lifetime. He also had a love for training horses for calf roping. In 1960, Ervin and his wife, May, now deceased, moved to Vaughn, Montana, where Ervin still lives. They raised one son, Blaine. Erv and May built an indoor arena at their residence outside of Vaughn in 1970 and spent many years putting on calf roping and team roping events at their arena until the late 1990’s. Ervin competed on the senior rodeo circuit in the United States and Canada up until the middle of the 1990’s. He won NSPRA world championships in 1982, 1984, and 1985. In 1982, he also won the NSPRA world championship in team roping. In 1989, he won the finals’ championship in team roping at Reno, Nevada. In 1988, 1989, 1990, 1991, and 1993, he won Canadian titles. In 1991, he was awarded the Bill Ullery Memorial in Canada. 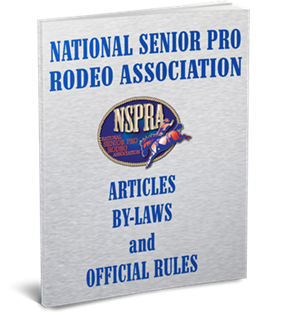 In the early years of this Association, Ervin was instrumental in promoting and producing an outstanding senior pro rodeo in Great Falls, Montana, and has continued to promote the sport of rodeo in numerous ways throughout his life. He was the leading force in getting NSPRA rodeos to Florence and Harlowtown, Montana, and he helped Bob Robinson structure the CSPRA. An outstanding all around cowboy, Ervin won numerous titles in both the United States and Canada, but claims to be most proud to have made so many great friends throughout his rodeo career.